Earlier this year, Zello submitted an RFI application to the Smart City IoT (SCITI) innovation labs, requesting to participate in a project to develop cutting-edge solutions for first responders. The project is jointly sponsored by the U.S. Department of Homeland Security (DHS) Science and Technology Directorate (S&T), Center for Innovative Technology (CIT), TechNexus venture collaborative, and Smart City Works. SCITI Labs' mission is to help tech companies "collaboratively develop solutions designed to support First Responders’ capabilities in the Smart City environment, by providing technologies with market access, development capital, and aligning those technologies with larger tangential opportunities in broader industries." Innovative tech companies large and small, including Zello, were evaluated based on whether the company had proven marketable solutions that could be easily adapted to meet the challenges and specific needs of the first responder community. The highly competitive global selection process was thorough and rigorous. 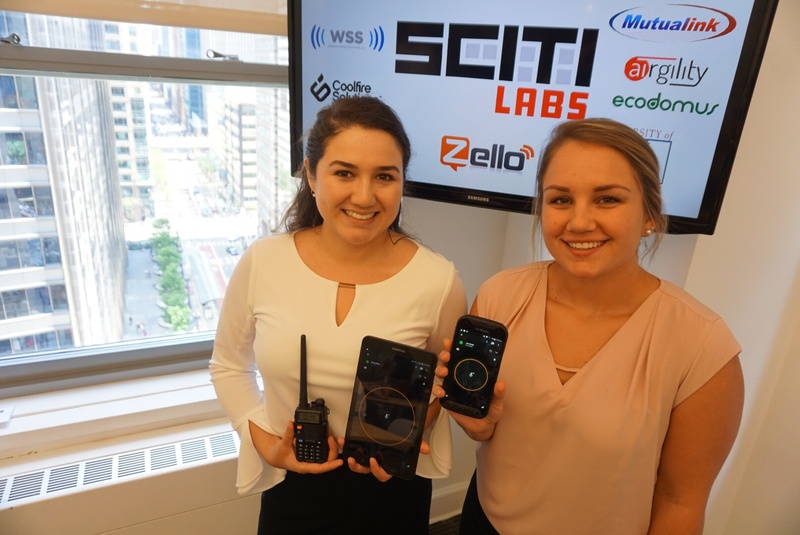 In April 2018, Zello was selected as one of the 13 finalist companies chosen to participate in the first round of the SCITI Labs project. The DHS issued a News Release in June officially announcing Zello as a participant. - SmartHub, responder-focused mobile communication and sensor suites. Zello was assigned to the SmartHub prototype team, providing the push-to-talk (PTT) communications for the suite. Our partners on this prototype are CommandWear Systems, Coolfire Solutions, and Excession Technologies Ltd.
As defined by SCITI Labs, the SmartHub prototype should allow first responders to use body-worn gear designed to help them communicate with other responders using the same body gear, as well as non-body gear users and other third-party smart building or smart city technologies. The solution should be fully integrated and offer seamless communications and situational awareness for first responders. The SCITI Labs project is expected to last 18 months, with two rounds of funding for each of the three hubs. At the end of the first round, the resulting prototypes should meet requirements as minimally viable products (MVP), each ready and available to be field-tested by first responders. Zello is very excited to have this opportunity to work with other innovative companies to develop a SmartHub solution for our nations' first responders. Millions of people have already used Zello for communications during natural disasters, such as hurricanes, fires and earthquakes, so this is an area very close to our hearts. We also feel this collaborative effort will ultimately benefit our users, allowing us to identify and add features to Zello and ZelloWork that will improve emergency communications for all our users, not just first responders.